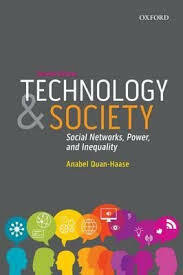 How Technology Has Changed Your Life research papers explain how today's technological advances have impacted your life in light of information security. Advances in technology have had a profound effect on my everyday life during the past five years. Email allows me to stay in constant touch with friends and family. I have even contacted long-lost friends after “finding” them through the many “people search” services offered by various engines. Relatives whom I have never met are now my e-pals, fostering a sense of connection and family. My social/emotional “circle” has grown considerably because of email. My multicultural sensitivity has been enhanced by access to email and the Internet, as well. I have had opportunities to interact with people from many cultures and countries via email, chat-rooms, list-serves, and the like. This exchange of philosophies and experiences has broadened my knowledge and understanding of others. In addition to these person-to-person contacts, the Internet has opened the door to an always accessible, ever-growing information resource. There are misuses and abuses of the freedom and relative anonymity that travelers in cyberspace enjoy, to be sure. However, if one keeps information security in mind and chooses sites and activities wisely, the rewards are immeasurable. Online access to academic journals and other materials is an area of particular interest to college students. Also, the very latest news and weather are available, updated moment by moment. Palm pilots and laptops render all of the above “portable,” another innovative development that is quite recent. With all the opportunities that technology has to offer, the irony is that this phenomenon with the potential to draw us nearer to one another also serves to distance us at times. Some people cannot pass a computer without stopping to check their email. Many establishments, including some grocery stores, now offer online access in “cyber-cafes.” If one is with a friend or family member, compulsive email-checks impact the quality of the in-person interaction. My pet peeve involves a different technology but a similar scenario. I just hate to see someone in a restaurant on his or her cell phone! The dinner companion sits “alone” while the telephone conversation drones on. Our need to feel accessible to everyone sometimes interferes with our enjoyment of interaction with that special someone. A similar complaint could be made regarding the call-holding option now available on both cell and stationary phones. Paper Masters writes custom research papers on How Technology Has Changed Your Life and explain how today's technological advances have impacted your life in light of information security.